Ms. Souhir MESSAOUDI is currently an HSSE consultant, she has been involved in HSSE for almost 13 years, she worked in different environments and industries, namely oil and gas and logistics, Ms. Souhir started her career with BG Tunisia as a waste coordinator and has been quickly promoted to a safety coordinator then a safety advisor. 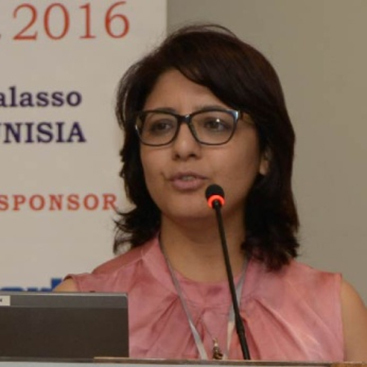 In 2010, she founded the RSTC; a Tunisian company offering a broad range of health, safety and environmental services, consultancy and training. Ms. Souhir MESSAOUDI then has been seconded as HSSE manager to several companies helping them achieve their targets, developing, implementing and improving effective safety strategies and Management Systems.